This beautiful ecological, stylish house from the nineteenth century is divided into two different houses and is decorated by young artists. The first floor has three junior suites with television and a private bathroom. Each room can accommodate three to four people. The kitchen is fully equipped. On the second floor there is a spacious room for reading, listening to music and relaxing. The room has a beautiful view of Mount Serradero and the village of Torrecilla. The house has a large garden with garden furniture and a barbecue, ski storage and free bike rental. Next to the entrance there is a playground and parking for cars. 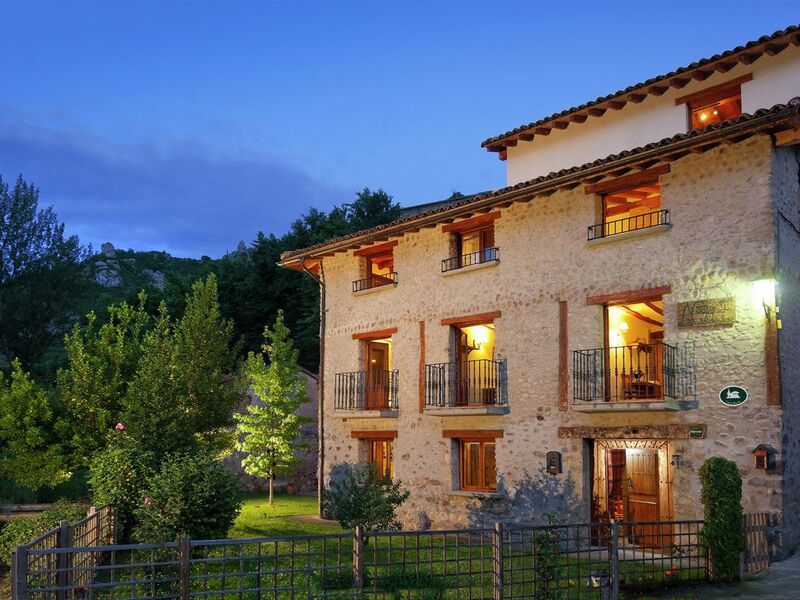 The village, crossed by the Iregua River, has 450 inhabitants and is located in the Sierra de Los Cameros Nuevos, 20 km from the capital of La Rioja, Logroño. There are several restaurants, bars and shops. In the area you can do many activities such as cycling, hiking, caving, fishing and hunting. Ideal for families or groups of friends who want to enjoy nature and gastronomy. The guests are invited by the home owner to visit a nearby bodega.